Are you considering vendor managed inventory as a way to reduce your inventory costs? Are you looking to free up more time for your employees? Interested in lessening the burden of maintaining by-hand inventory counts? If so, then VMI from ASF Components is exactly what you’ve been searching for! Offering an unmatched number of SKUs, we are thorough – exacting – in our quality control processes to ensure that our customers aren’t stuck with substandard parts. We believe that a provider of vendor managed inventory services is only as good as their reliability, that’s why we ensure that all of our essential parts are in stock, ready to go and – more importantly – that they’re backed by the industry’s best customer service. Poor customer service and communication are one of the biggest contributors to slow lead times. If you’re waiting on a part, you want to be able to pick up the phone, call your provider, and find out exactly where that part is and when it will arrive. Without that ability, you’re taking shots in the dark and – worse yet – you’re leaving the fate of your customers to chance. When you work with ASF Components, you can be confident that you’ll always be armed with the most recent information regarding your inventory levels, restocks, and shipments. Because of this, you stand to save a substantial sum due to the reduced need for your employees to “babysit” your suppliers. At ASF Components, we go to extreme lengths to ensure that our inventory of class “C” components is sufficient to meet our customers’ needs. 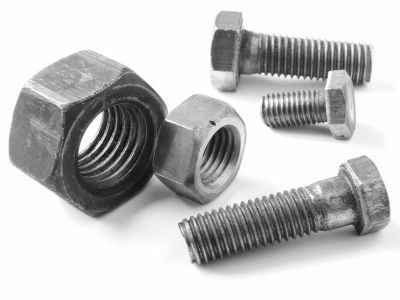 Whether you’re looking for bolts, fasteners, nuts, or other components, you can be certain that we have the capability to meet your needs. So, if you’ve been considering vendor manage inventory, we encourage you to reach out to us today to discuss how we can help.